Ideal for bonding double mounts, attaching dust covers and many other acid-free applications. 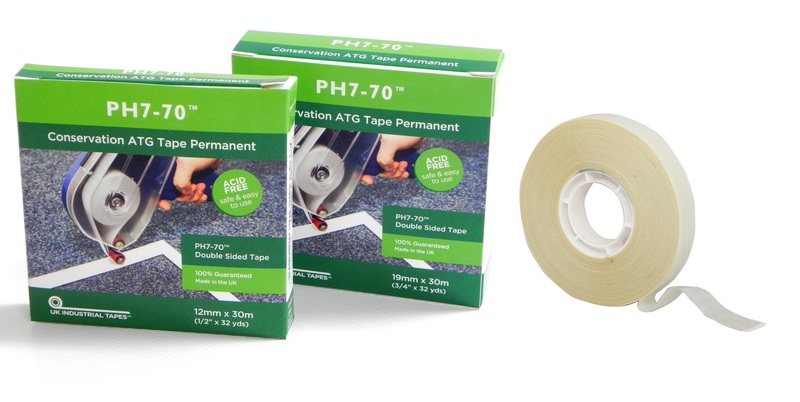 PH7-70 is a double-sided ATG tape which has a permanent acid free acrylic adhesive system which will not react with sensitive papers or mount board. It is ideal for bonding double mounts, attaching dust covers and many other acid-free applications. Always make sure the tape is nowhere near the artwork as the adhesive is permanent. Ideal for use when everything in the mount has to be acid-free.